Windows Phone 7 - finally launched today! UPDATE: Check out our Windows Phone 7: complete coverage page for the handsets, operators and more. 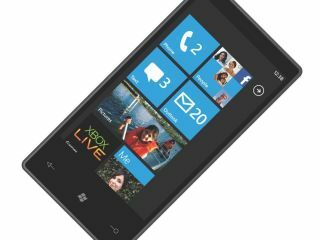 You might have noticed that Microsoft has been crafting a new mobile operating system to rival Apple and Google - and today is the day Windows Phone 7 finally arrives. In simulcast press conferences from the UK and the US, Microsoft will finally lift the lid on the final version of the OS to the public, and more importantly: tell us what phones are coming. This looks like it could be a pretty big deal for the phone world, as not only has Microsoft dedicated a huge amount of time to this new project, it's also managed to get all five UK networks on board too. Samsung, LG and HTC are all tipped to be launch partners, so it's clear that Microsoft has made a big effort to make sure the official unveiling will be backed by the right names. But what about a UK release date? What kind of UK pricing will the phones have? How many will there be? All this, and more, can and will be answered through our dedicated Windows Phone 7 page - so keep checking back to see all the news as it happens.